Emiko Suyama Augustin passed away quietly on August 25, 2018 at Valley Medical Center after suffering a stroke at her home. Born in 1933, Emiko spent part of her youth in Yokohama, Japan where she eventually met her husband, Mamerto Augustin, who had arrived in Japan from the Philippines. They married in 1952 and moved to Seattle in 1958. Emiko quickly made many friends in her new home. Emiko was an energetic and independent spirit. She enjoyed dinner parties and road trips with her friends. She especially liked going to Sol Duc Hot Springs and Long Beach. 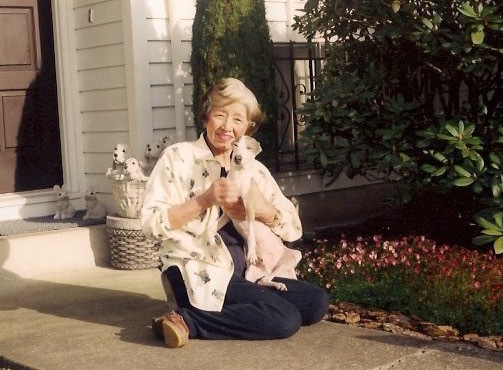 She enjoyed gardening, reading and taking walks in her neighborhood. Emiko was generous and kind, often thinking of others before herself. She was grateful for her caring neighbors, friends and in-home caregivers. Per her request there will be no memorial service. She will lie next to Mamerto at Holyrood Cemetery in Shoreline.